Here is a selection of sites from the Kitchen Table Web Design Ecommerce Portfolio. Quality Ecommerce website design includes great web design, strategic thinking and having a marketing plan for your ecommerce website. 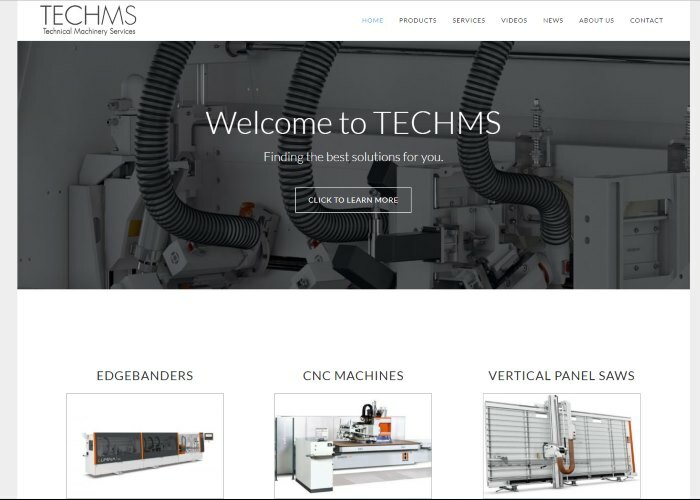 TechMS is a family owned small business based in South Auckland which has more than 60 years combined experience in sales and service in woodworking machinery. Margaret was frustrated with their existing website. Nothing was working as they wanted it and it was difficult to update. There was extra information that would help their customers learn about their products but they had not included it on the website because it wasn’t clear where it should go. They felt it didn’t look professional and the whole thing felt discouraging. Could I help improve the existing website? 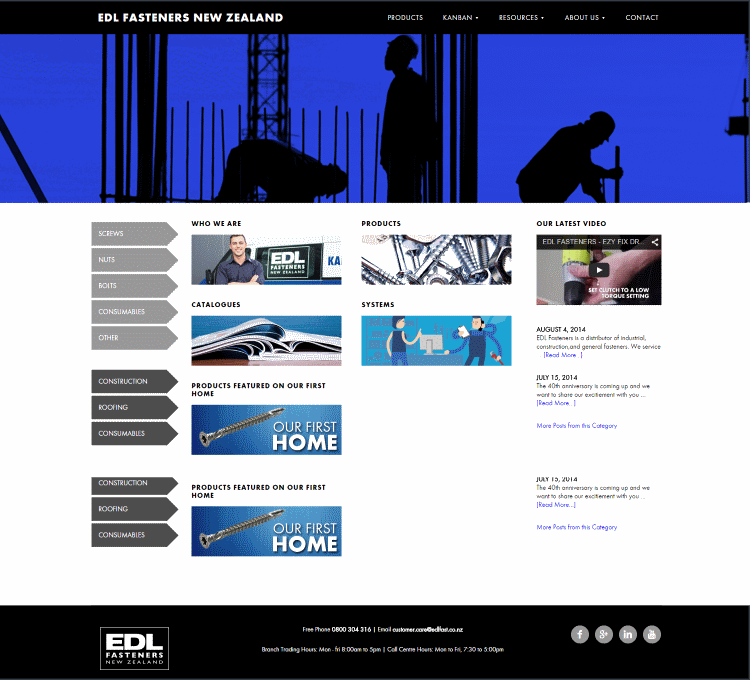 Read More about my solution and their new Industrial Machinery Website using Woocommerce as an Ecommerce Catalogue solution. Their focus to keep the process of ordering clean for their customers as well as promoting signing up for an account. They provided the branding and logo which they had designed with their packaging. I choose an existing Genesis premium theme which had a layout and style that suited their existing branding and minimalist design. Consequently, this allowed us to keep the styling costs much lower than a custom build while still giving a unique professional look. A custom shop page layout included a top section highlighting the different superfoods. This section had links to informational articles. A customer can purchase products from the shop page or from the bottom of the articles which provide valuable detailed information about the product’s benefits. The homepage was also customised to the client’s requirements including the creation of icons with the values of the store. The website also acts as an online catalogue for their wholesale customers. Furthermore, Search Engine Optimisation (SEO) was considered throughout. I was able to advise the client of the SEO implications of the various site architecture choices to enable the client to make informed decisions. I use Woocommerce for the E-commerce functionality. Woocommerce is a great solution for a startup. The open-source platform provides users with extensive features, yet is very user-friendly and the base functionality is free. There are a large number of premium plugins that can add additional functionality. 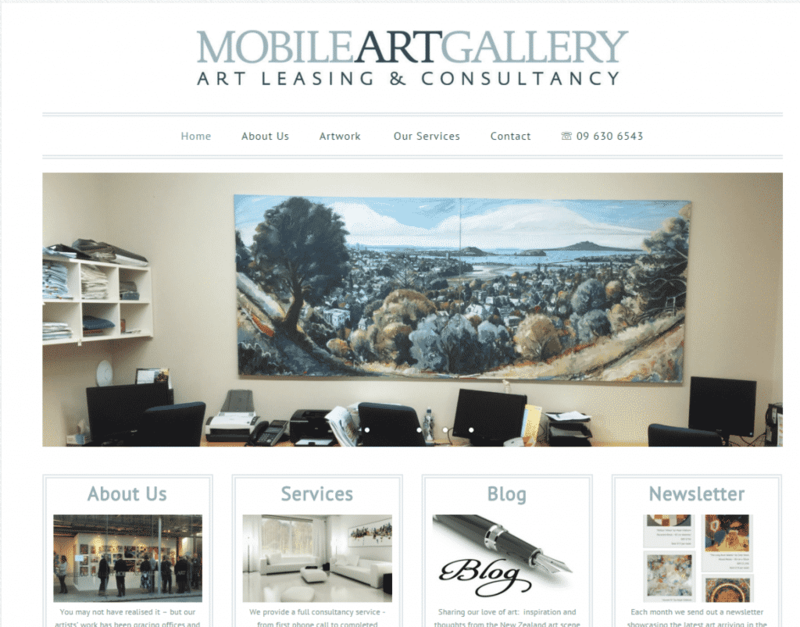 The website is based on WordPress, a great Content Management System so it is easy for the client to update details. I also created some custom video tutorials showing how to edit different areas of the website. If at some point in the future, the client wants to blog or add recipes, I included this functionality. 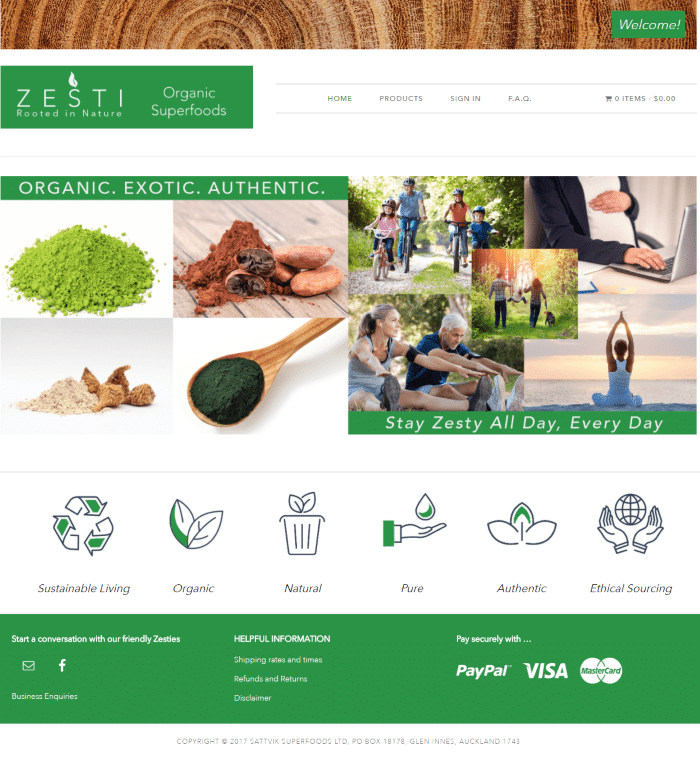 I contacted Tarnya for developing an e-commerce website for my Organic Superfood business. I preferred to work with entrepreneurs like her who helps start-ups and small business to have flexibility, quick response, and save costs but get professional quality results. Tarnya has been very understanding of the changing design requirements throughout. She has built a website with great functionality while providing valuable advice all along to save costs. I have got great feedback about the website. It would have cost me twice as much in time and money to get this done by a bigger company. Overall, it has been a pleasure to work with Tarnya. An Ecommerce Website with some custom functionality. The solution was a combination of the WooCommerce, WooCommerce Bookings, WooCommerce Vendors, WooCommerce Xero Integration, a CRM solution, a number of other plugins and a lot of custom written code. The Sticky Handshake was a Small Business Networking Website Project. This website has lots of features and is specifically targeting for the small business owner. It has member created events, a forum and some unique functionality for referrals, handshakes and for meeting up for a coffee. It used Woocommerce Subscriptions and Woocommerce Membership. 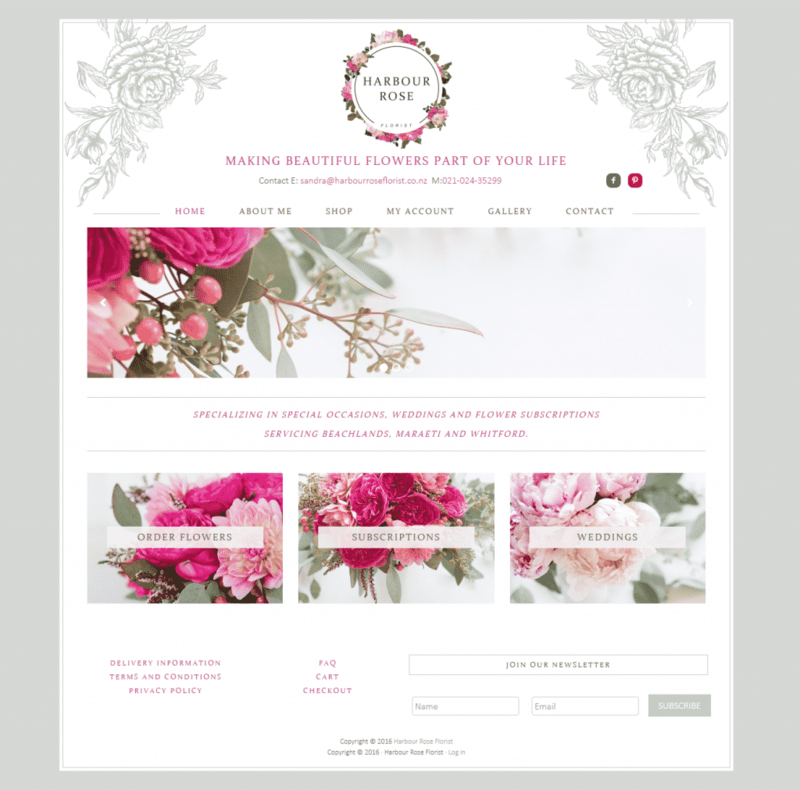 She wanted her florist website to reflect the beautiful flowers and arrangements that Sandra provides. Furthermore, the style to be modern, elegant and easy to navigate. The simple E-commerce site layout leaves the focus completely on the beautiful flower arrangements while making it easy to navigate. I am looking forward to getting together in a few months to discuss ways to improve SEO. Johanna Mountfort is a WFF Pro figure athlete who holds World and Universe titles. She also has other national and international titles. She is a highly experienced bodybuilding coach and a NABBA-WFF Judge. Johanna wanted a website with functionality to book personal training sessions and workshops. Also an e-commerce section for purchasing her programmes as pdf secure downloads. The number of downloads can be limited and a time limit set. Johanna also wanted a website that reflected her unique branding and passion for bodybuilding. Love the pink!